The occurrence of arrhythmia is often related to basic heart rate. Prognostic significance is associated with such a relationship; furthermore, heart rate modulation may result as an ancillary effect of therapy, or be considered as a therapeutic tool. This review discusses the cellular mechanisms underlying arrhythmia occurrence during tachycardia or bradycardia, considering rate changes per se or as a mirror of autonomic modulation. Besides the influence of steady-state heart rate, dynamic aspects of changes in rate and autonomic balance are considered. The discussion leads to the conclusion that the prognostic significance of arrhythmia relationship with heart rate, and the consequence of heart rate on arrhythmogenesis, may vary according to the substrate present in the specific case and should be considered accordingly. This work was supported by an institutional Fund for Research (Fondo di Ateneo per la Ricerca) of Milano-Bicocca University to A. Zaza. The incidence of ventricular arrhythmias is often related, within an individual, to the rate of their underlying sinus rhythm (heart rate). The direction of this relationship is generally considered to entail some prognostic significance: whereas ectopic activity suppressed by tachycardia is assumed to be benign, an arrhythmia enhanced by tachycardia is regarded with more concern. Is this assumption valid in general terms? Does it have a mechanistic explanation? To what extent does it apply to arrhythmias occurring in different pathological conditions? The purpose of this short review is to discuss how arrhythmogenesis, by its diverse mechanisms, can be affected by heart rate. Furthermore, heart rate reflects autonomic balance, which has its own effects on these factors. Impulse propagation depends on excitation rate only if the diastolic interval is too short to allow for full recovery of the current which supports it (i.e. diastolic interval shorter than refractory period). In normal ventricular myocardium, recovery of the Na+ current (INa) is complete within the end of the action potential; the latter shortens as rate increases, thus making refractoriness rate-adaptive. Therefore, as indicated by constancy of QRS duration over the whole range of physiological rates, propagation is largely independent of heart rate.1 INa recovery may be delayed beyond full repolarisation (post-repolarisation refractoriness) by Na+-channel blockers (Class IC in particular)7 and by loss of diastolic polarisation; furthermore, when a small gap of unexcitable tissue is included in the propagation path, refractoriness may become independent of action potential duration and even acquire an opposite rate-dependency.8 Rate-dependency of conduction (e.g. in bundle branch block) may appear in such conditions; however, it is not necessarily present under conditions of conduction impairment in ventricular myocardium. For instance, in severely fibrotic porcine hearts subjected to hypokalemia, ventricular conduction was depressed, but rate-dependency occurred only above 240 BPM.9 Because of its less polarised diastolic potential and specific INa-gating properties,10 atrial myocardium may be more prone than ventricular myocardium to develop post-repolarisation refractoriness and, thus, conduction rate-dependency;1 however, it is unclear whether this may occur within a physiological range of rates. Post-repolarisation refractoriness and conduction rate-dependency are instead typical of nodal tissue, in which propagation is supported by a Ca2+ current (ICaL) with slow recovery kinetics. However, sinus tachycardia is physiologically induced by sympathetic activation, which enhances ICaL; therefore, unless ICaL conductance is reduced (e.g. by drugs), even nodal conduction is largely rate-independent. To summarise, considering rate-dependent conduction slowing as a general factor in tachycardia-induced arrhythmias may, in our view, be incorrect. Bradycardia prolongs repolarisation, on the other hand. Longer repolarisation is intrinsically more labile to perturbations11,12 and, as such, prone to become spatially inhomogeneous and temporally variable.13 Moreover, repolarisation velocity is pivotal in preventing partial ICaL recovery and its immediate reactivation during the action potential plateau, which would result in major perturbation of the action potential profile (early-afterdepolarisations, EADs).14 Prolonged repolarisation, either primary or acquired, is notoriously associated with proarrhythmia. While EADs represent the most obvious arrhythmia-initiating event, even in the absence of EADs the tendency of prolonged repolarisation is to be more variable, both in space (repolarisation dispersion or heterogeneity) and time (repolarisation variability). This may lead to the steep voltage gradients, likely setting the stage for local conduction block, which characterise the sites of onset of life-threatening rhythms.15 Fortunately, bradycardia is normally associated with low adrenergic activity, which helps to maintain inward and outward current components in balance. Overall, changes of membrane current expression during the action potential are such as to confer electrical stability in the case of tachycardia, but much less during bradycardia. Nonetheless, heart rate changes are pivotal in cardiovascular adaptation to metabolic needs; therefore, we can assume that normal myocardium is rigged to face wide heart rate changes. This is conceivably achieved through concerted modulation of sinus node pacemaker rate and of the function of working myocytes. Heart rate has profound effects on intracellular Ca2+ dynamics, which contribute to adapt contractility to the changes in cycle duration. Tachycardia increases the Ca2+ influx/efflux ratio, thereby increasing cell Ca2+ content.16 Adrenergic stimulation contributes to this by enhancing Ca2+ influx (through ICaL) and by stimulating a Ca2+ pump (SERCA2a), which supports fast uptake of the ion by the sarcoplasmic reticulum (SR).16 Under normal conditions, cell Ca2+ content, especially in the SR, is tightly controlled by a complex of feedback mechanisms, which keep it near a set point.17 While the joint effects of tachycardia and adrenergic activation move the set point to increase the Ca2+ available to trigger contraction, the feedback system guarantees achievement of a new steady-state and prevents progressive Ca2+ overload.18 This set of mechanisms ensures SR stability, i.e. capability of the intracellular store to release Ca2+ only in response to the appropriate trigger (the action potential).19 Nonetheless, tachycardia and adrenergic stimulation are undoubtedly stress conditions for the Ca2+ handling system: if any of its components is abnormal, as occurs in common primary and acquired diseases, SR instability is more likely to ensue at high heart rate.20,21 Thus, the appearance of arrhythmias during sinus tachycardia per se, or as a reporter of sympathetic activation, may suggest mechanisms related to abnormality of the Ca2 -handling machinery. Heart rate is the major determinant of oxygen consumption by both chemical (mainly Na+ and Ca2+ pumping) and mechanical (sarcomere shortening) components of cardiac work. To cope with it, mitochondrial production of reduced substrates fuelling the electron transport chain (i.e. nicotinamide adenine dinucleotide) is tightly controlled by mitochondrial Ca2+, whose concentration increases during tachycardia as it grossly follows that of cytosol.25,26 Under these conditions, inadequate availability of O2 (the electron acceptor) paradoxically increases mitochondrial production of reactive oxygen species (ROS), likely because of an imbalance between their generation and scavenging, and reduces ATP generation. 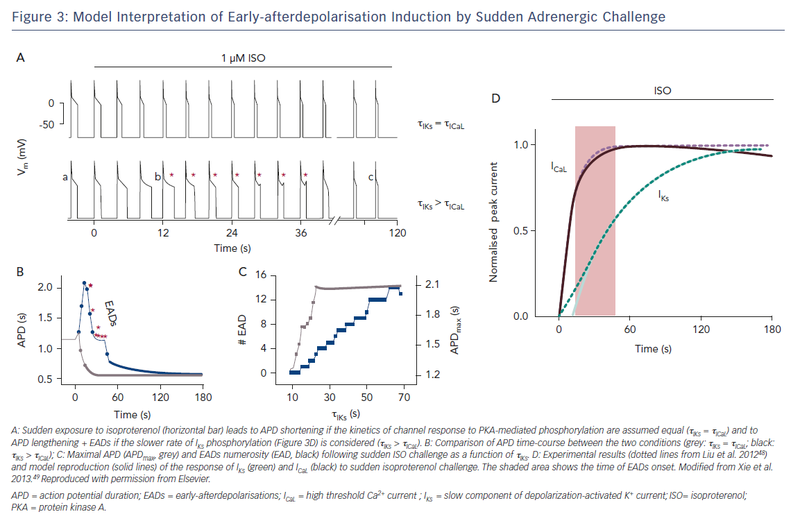 ROS-induced proarrhythmia is well known: SR instability induced by peroxidation of "ryanodine receptor" channels has a strong proarrhythmic potential, but dysfunction of other ion channels (e.g. enhancement of the late Na+ current) is also involved.27–33 Furthermore, a drop in the ATP/ADP ratio activates the sarcolemmal ATP-sensitive current (IKATP), which may dramatically shorten repolarisation and impair cell excitability locally,34,35 resulting in marked electrical heterogeneity. Therefore, in the context of ischaemic heart disease, the immediate proarrhythmic potential of tachycardia is obvious; indeed, tachycardia-induced arrhythmias may represent an ischaemia equivalent. Is the Relation Between Arrhythmia and Heart Rate Relevant to Prognosis and Therapeutic Strategy? In light of the arguments above, whereas tachycardia may afford greater electrical stability in the normal heart, it may well be an arrhythmia trigger when an abnormal substrate is present. The latter may be provided by extremely common conditions, such as ischaemic heart disease, or rarer but very serious ones, such as ryanodine receptor dysfunction of genetic origin (as in catecholamine-induced polymorphic ventricular tachycardias).36 This, together with the generally benign nature of overdrive-suppressible enhanced automaticity (parasystolic rhythms), might lead to the conclusion that ectopic beats manifesting selectively at low heart rates should not be associated with the substrate required for their degeneration into complex, life-threatening arrhythmias. A substantial body of evidence indicates that, contrary to the view above, pronounced bradycardia may also facilitate life-threatening arrhythmias, as predicted by its destabilising effect on repolarisation. Susceptibility to torsade de pointes (TdP) ventricular tachycardias, the type of arrhythmia more specifically linked to repolarisation instability, characterises experimental models of bradycardia37 and may be observed in patients with AV block resulting in low ventricular rates.38 The question is then whether low heart rate is by itself responsible for arrhythmogenesis. In dogs with chronic AV block (CAVB), an extensively characterised proarrhythmia model, bradycardia may trigger TdP only after inducing myocardial remodelling:39 a set of functional and structural myocardial modifications resulting from chronic adaptation to low heart rate. Repolarisation of remodelled myocardium is generally characterised by downregulation of outward currents and upregulation of inward ones, resulting in slightly prolonged action potential duration and reduced repolarisation reserve.40 This experimental observation is matched by clinical data showing that, among AV block patients, those developing TdP are characterised by longer QT intervals and specific features in repolarisation profile.38 Therefore, as in the case of tachycardia-induced arrhythmias, arrhythmia ensuing during bradycardia may indicate the presence of a substrate, represented in this case by reduced repolarisation reserve. Notably, such a substrate may result from myocardial remodelling of whatever aetiology, thus making pronounced bradycardia a concern in all conditions of myocardial hypertrophy/failure. A special condition, sensitising repolarisation to the destabilising effect of bradycardia, may be provided by a mismatch between sinoatrial and ventricular responses to sympathetic activation. 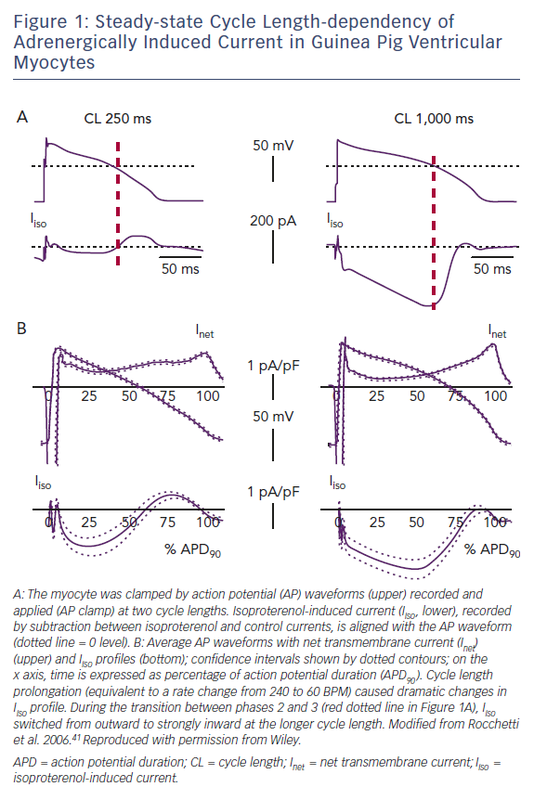 Action-potential clamp (AP-clamp) experiments in guinea pig ventricular myocytes showed that the composite current activated by beta-adrenergic receptors (largely IKs + ICaL) switched from partly outward to entirely inward when the pacing rate was reduced.41 Notably, at slow rates the excess inward (depolarising) current impinged on the transition between action potential phases 2 and 3, i.e. when EADs commonly occur (Figure 1). Bradycardia-induced distortion of the current profile in these experiments was so remarkable to suggest that profound repolarisation abnormalities should be a necessary consequence of inadequate ventricular rate response to sympathetic activation, even when the currents are intrinsically normal. Evidence that this is fortunately not the case in vivo (in the CAVB dog and AV block patients mentioned above) may be partly explained by specificities in the guinea pig action potential,42 but also by failure of membrane current to feedback on membrane potential course under AP-clamp conditions. In other words, under physiological conditions, current distortions would produce changes in the AP profile that may minimise their effect. Nonetheless, the AP-clamp experiments do show that subnormal rate response to sympathetic activation may impose a very significant stress on repolarisation reserve. Before the role of genetic channel abnormalities was recognised, long QT syndrome was experimentally reproduced in normal hearts by an imbalance between the activities of left- and right-sided sympathetic nerves.43 Whereas the effects of left stellectomy (i.e. sympathyectomy) on static and dynamic aspects of ventricular repolarisation were similar to those of bilateral denervation, right stellectomy had opposite effects (Figure 2).44 Notably, whereas sinus rate is mostly under the influence of right-sided nerves, left-sided ones prevail in the control of ventricular electrophysiology.43 The concept of "inadequate rate response" introduces a quantitative argument in the discussion of the correlation between heart rate and arrhythmias. For instance, in long QT syndromes, cardiac arrest may be preceded by an increase in heart rate,45 as expected when arrhythmias are triggered by sympathetic activation. However, because of prolonged repolarisation and, in the case of IK deficits, also because of defective sinus automaticity, long QT syndrome patients are intrinsically bradycardic, with subnormal rate response to sympathetic activation,46 the latter being a likely contributor to the genesis of TdP. This has, of course, therapeutic implications in the potential benefits of positive chronotropy, by pacemakers or drugs, under conditions of repolarisation instability. In conclusion, from the mechanistic viewpoint, when considering the relation between heart rate and arrhythmias, the question should be ‘how appropriate is sinus rate to autonomic balance?’, rather than ‘is heart rate high (or low)?’. We have thus far considered tachycardia and bradycardia as static conditions; nonetheless, emerging evidence indicates that the link between heart rate and arrhythmogenesis may also reside in the dynamics of transitions between different heart rates. This argument is well illustrated by examples, again in the field of repolarisation syndromes. Since high BRS is held to reflect parasympathetic dominance (and found to be protective under other conditions), the finding is surprising, and leads to consider other mechanisms in the contribution of rate changes to cardiac arrest. 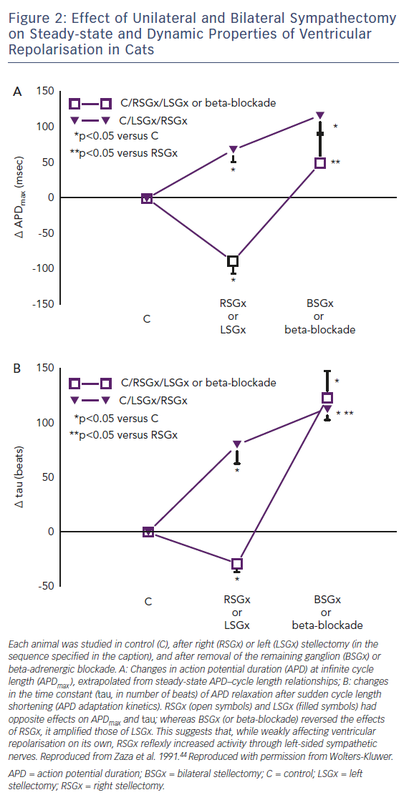 It has been suggested that high BRS implies brisker autonomic and heart rate changes during haemodynamic perturbations.51 IKs is among the main factors underlying APD adaptation to sudden rate fluctuations: the stiffer repolarisation typical of LQT1 might decrease the tolerance to these fluctuations.52 Indeed, stiffer repolarisation is the sole mechanism we found to potentially account for the severe electrical instability in a calmodulin mutation (F142L) associated with QT prolongation.53 Further investigation is required to confirm this view; nonetheless, these findings highlight the possibility that arrhythmogenesis may also result from a mismatch between the dynamicity of repolarisation and that of heart rate. With the exception of parasystolic rhythm, in which appearance at slow rates is likely due to relief from overdrive suppression of an automatic focus, attribution of prognostic significance to arrhythmia relationship with heart rate should carefully consider the substrate likely present in the individual patient. The same is also true for deciding whether heart rate increase or decrease may be a logical antiarrhythmic approach, or can be safely tolerated as a therapy side-effect. In many cases this may be straightforward (e.g. bradycardia-induced arrhythmias in a long QT syndrome patient, or tachycardia-induced arrhythmias clearly related to ischaemia); however, other cases may be more ambiguous. For instance, in heart failure, arrhythmia facilitation by tachycardia may suggest SR instability (or energetic incompetence); however, lowering heart rate in a likely remodelled context may conceivably carry some risk, particularly if adrenergic activation remains unopposed. Heart rate may affect electrical stability per se, or reflect autonomic balance. Depending on the substrate, arrhythmias can be facilitated by either tachycardia or bradycardia. Preferential occurrence of an arrhythmia during bradycardia may imply low risk only if the features typical of parasystole can be detected. Inadequate heart rate response to sympathetic activation may contribute to electrical instability. Sudden changes in heart rate and/or autonomic balance may contribute to electrical instability. Boyett MR, Jewell BR. Analysis of the effects of changes in rate and rhythm upon electrical activity in the heart. Prog Biophys Mol Biol 1980;36:1–52. https://doi.org/10.1016/0079-6107(81)90003-1; PMID: 7001542. Severi S, Corsi C, Rocchetti M, Zaza A. Mechanisms of beta-adrenergic modulation of I(Ks) in the guinea-pig ventricle: insights from experimental and model-based analysis. Biophys J 2009;96:3862–72. https://doi.org/10.1016/j.bpj.2009.02.017; PMID: 19413992. Volders PG, Stengl M, van Opstal JM, et al. Probing the contribution of IKs to canine ventricular repolarization: key role for beta-adrenergic receptor stimulation. Circulation 2003;107:2753–60. https://doi.org/10.1161/01.CIR.0000068344.54010.B3; PMID: 12756150. Rocchetti M, Besana A, Gurrola GB, et al. Rate-dependency of delayed rectifier currents during the guinea-pig ventricular action potential. J Physiol 2001;534:721–32. https://doi.org/10.1111/j.1469-7793.2001.00721.x; PMID: 11483703. Reuter H. Calcium channel modulation by neurotransmitters, enzymes and drugs. Nature 1983;301:569–74. https://doi.org/10.1038/301569a0; PMID: 6131381. Vassalle M. Electrogenic suppression of automaticity in sheep and dog Purkinje fibers. Circ Res 1970;27:361–77. https://doi.org/10.1161/01.RES.27.3.361; PMID: 5452735. Kirchhof PF, Fabritz CL, Franz MR. Postrepolarization refractoriness versus conduction slowing caused by class I antiarrhythmic drugs: antiarrhythmic and proarrhythmic effects. Circulation 1998;97:2567–74. https://doi.org/10.1161/01.CIR.97.25.2567; PMID: 9657478. Davidenko JM, Antzelevitch C. Electrophysiological mechanisms underlying rate-dependent changes of refractoriness in normal and segmentally depressed canine Purkinje fibers. The characteristics of post-repolarization refractoriness. Circ Res 1986;58:257–68. https://doi.org/10.1161/01.RES.58.2.257; PMID: 3948343. Motloch LJ, Ishikawa K, Xie C, et al. Increased afterload following myocardial infarction promotes conduction-dependent arrhythmias that are unmasked by hypokalemia. JACC Basic Transl Sci 2017;2:258–69. https://doi.org/10.1016/j.jacbts.2017.02.002; PMID: 28798965. Burashnikov A, Di Diego JM, Zygmunt AC, et al. Atrium-selective sodium channel block as a strategy for suppression of atrial fibrillation: differences in sodium channel inactivation between atria and ventricles and the role of ranolazine. Circulation 2007;116:1449–57. https://doi.org/10.1161/CIRCULATIONAHA.107.704890; PMID: 17785620. Zaza A. Control of the cardiac action potential: The role of repolarization dynamics. J Mol Cell Cardiol 2010;48:106–11. https://doi.org/10.1016/j.yjmcc.2009.07.027; PMID: 19666029. Barandi L, Virag L, Jost N, et al. Reverse rate-dependent changes are determined by baseline action potential duration in mammalian and human ventricular preparations. Basic Res Cardiol 2010;105:315–23. https://doi.org/10.1007/s00395-009-0082-7; PMID: 20127488. Winter J, Shattock MJ. Geometrical considerations in cardiac electrophysiology and arrhythmogenesis. Europace 2016;18:320–31. https://doi.org/10.1093/europace/euv307; PMID: 26585597. January CT, Riddle JM. Early afterdepolarizations: mechanism of induction and block. A role for L-type Ca2+ current. Circ Res 1989;64:977–90. https://doi.org/10.1161/01.RES.64.5.977; PMID: 2468430. Dunnink A, Stams TR, Bossu A, et al. Torsade de pointes arrhythmias arise at the site of maximal heterogeneity of repolarization in the chronic complete atrioventricular block dog. Europace 2017;19:858–65. https://doi.org/10.1093/europace/euw087; PMID: 28525920. Endoh M. Force-frequency relationship in intact mammalian ventricular myocardium: physiological and pathophysiological relevance. Eur J Pharmacol 2004;500:73–86. https://doi.org/10.1016/j.ejphar.2004.07.013; PMID: 15464022. Dibb KM, Graham HK, Venetucci LA, et al. Analysis of cellular calcium fluxes in cardiac muscle to understand calcium homeostasis in the heart. Cell Calcium 2007;42:503–12. https://doi.org/10.1016/j.ceca.2007.04.002; PMID: 17509680. Venetucci LA, Trafford AW, O’Neill SC, Eisner DA. The sarcoplasmic reticulum and arrhythmogenic calcium release. Cardiovasc Res 2008;77:285–92. https://doi.org/10.1093/cvr/cvm009; PMID: 18006483. Zaza A, Rocchetti M. Calcium store stability as an antiarrhythmic endpoint. Curr Pharm Des 2015;21:1053–61. https://doi.org/10.2174/1381612820666141029100650;PMID: 25354186. Baartscheer A, Schumacher CA, Belterman CN, et al. SR calcium handling and calcium after-transients in a rabbit model of heart failure. Cardiovasc Res 2003;58:99–108. https://doi.org/10.1016/S0008-6363(02)00854-4; PMID: 12667950. Wan X, Laurita KR, Pruvot EJ, Rosenbaum DS. Molecular correlates of repolarization alternans in cardiac myocytes. J Mol Cell Cardiol 2005;39:419–428. https://doi.org/10.1016/j.yjmcc.2005.06.004; PMID: 16026799. Zuhlke RD, Pitt GS, Deisseroth K, et al. Calmodulin supports both inactivation and facilitation of L-type calcium channels. Nature 1999;399:159–62. https://doi.org/10.1038/20200; PMID: 10335846. Nemec J. Nonalternans repolarization variability and arrhythmia – the calcium connection. J Electrocardiol 2016;49:877–82. https://doi.org/10.1016/j.jelectrocard.2016.08.003; PMID: 27600096. Johnson DM, Heijman J, Bode EF, et al. Diastolic spontaneous calcium release from the sarcoplasmic reticulum increases beat-to-beat variability of repolarization in canine ventricular myocytes after beta-adrenergic stimulation. Circ Res 2013;112:246–56. https://doi.org/10.1161/CIRCRESAHA.112.275735; PMID: 23149594. Maack C, O’Rourke B. Excitation-contraction coupling and mitochondrial energetics. Basic Res Cardiol 2007;102:369–92. https://doi.org/10.1007/s00395-007-0666-z; PMID: 17657400. Dorn GW, Maack C. SR and mitochondria: calcium cross-talk between kissing cousins. J Mol Cell Cardiol 2013;55:42–9. https://doi.org/10.1016/j.yjmcc.2012.07.015; PMID: 22902320. Murphy MP. How mitochondria produce reactive oxygen species. Biochem J 2009;417:1–13. https://doi.org/10.1042/BJ20081386; PMID: 19061483. Nickel A, Kohlhaas M, Maack C. Mitochondrial reactive oxygen species production and elimination. J Mol Cell Cardiol 2014;73:26–33. https://doi.org/10.1016/j.yjmcc.2014.03.011; PMID: 24657720. Xie W, Santulli G, Reiken SR, et al. Mitochondrial oxidative stress promotes atrial fibrillation. Sci Rep 2015;5:11427. https://doi.org/10.1038/srep11427; PMID: 26169582. Niggli E, Ullrich ND, Gutierrez D, et al. Posttranslational modifications of cardiac ryanodine receptors: Ca(2+) signaling and EC-coupling. Biochim Biophys Acta 2013;1833:866–75. https://doi.org/10.1016/j.bbamcr.2012.08.016; PMID: 22960642. Santulli G, Xie W, Reiken SR, Marks AR. Mitochondrial calcium overload is a key determinant in heart failure. Proc Natl Acad Sci USA 2015;112:11389–94. 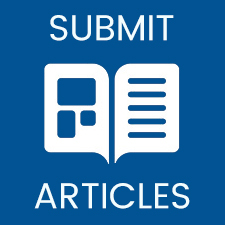 https://doi.org/10.1073/pnas.1513047112; PMID: 26217001. Ward CA, Giles WR. Ionic mechanism of the effects of hydrogen peroxide in rat ventricular myocytes. J Physiol 1997;500(Pt 3):631–42. https://doi.org/10.1113/jphysiol.1997.sp022048; PMID: 9161981. Zaza A, Belardinelli L, Shryock JC. Pathophysiology and pharmacology of the cardiac “late sodium current”. Pharmacol Ther 2008;119:326–39. https://doi.org/10.1016/j.pharmthera.2008.06.001; PMID: 18662720. Brown DA, O’Rourke B. Cardiac mitochondria and arrhythmias. Cardiovasc Res 2010;88:241–9. https://doi.org/10.1093/cvr/cvq231; PMID: 20621924. Gambardella J, Sorriento D, Ciccarelli M, et al. Functional role of mitochondria in arrhythmogenesis. Adv Exp Med Biol 2017;982:191–202. https://doi.org/10.1007/978-3-319-55330-6_10; PMID: 28551788. Priori SG, Chen SR. Inherited dysfunction of sarcoplasmic reticulum Ca2+ handling and arrhythmogenesis. Circ Res 2011;108:871–83. https://doi.org/10.1161/CIRCRESAHA.110.226845; PMID: 21454795. Vos MA, de Groot S, Verduyn SC, et al. Enhanced susceptibility for acquired torsade de pointes arrhythmias in the dog with chronic, complete AV block is related to cardiac hypertrophy and electrical remodeling. Circulation 1998;98:1125–35. https://doi.org/10.1161/01.CIR.98.11.1125; PMID: 9736600. Cho MS, Nam GB, Kim YG, et al. Electrocardiographic predictors of bradycardia-induced torsades de pointes in patients with acquired atrioventricular block. Heart Rhythm 2015;12:498–505. https://doi.org/10.1016/j.hrthm.2014.11.018; PMID: 25460857. Dunnink A, van Opstal JM, Oosterhoff P, et al. Ventricular remodelling is a prerequisite for the induction of dofetilide-induced torsade de pointes arrhythmias in the anaesthetized, complete atrio-ventricular-block dog. Europace 2012;14:431–6. https://doi.org/10.1093/europace/eur311; PMID: 21946817. Michael G, Xiao L, Qi XY, et al. Remodelling of cardiac repolarization: how homeostatic responses can lead to arrhythmogenesis. Cardiovasc Res 2009;81:491–9. https://doi.org/10.1093/cvr/cvn266; PMID: 18826964. Rocchetti M, Freli V, Perego V, et al. Rate-dependency of beta-adrenergic modulation of repolarizing currents in the guinea-pig ventricle. J Physiol 2006;574:183–93. https://doi.org/10.1113/jphysiol.2006.105015; PMID: 16484299. Sala L, Hegyi B, Bartolucci C, et al. Action potential contour contributes to species differences in repolarization response to beta-adrenergic stimulation. Europace 2017. https://doi.org/10.1093/europace/eux236; PMID: 29045640. Yanowitz R, Preston JB, Abildskov JA. Functional distribution of right and left stellate innervation to the ventricles: production of neurogenic electrocardiographic changes by unilateral alteration of sympathetic tone. Circ Res 1966;18:416–28. https://doi.org/10.1161/01.RES.18.4.416; PMID: 4952701. Zaza A, Malfatto G, Schwartz PJ. Sympathetic modulation of the relation between ventricular repolarization and cycle length. Circ Res 1991;68:1191–203. https://doi.org/10.1161/01.RES.68.5.1191; PMID: 2018986. Fujiki A, Nishida K, Mizumaki K, et al. Spontaneous onset of torsade de pointes in long-QT syndrome and the role of sympathovagal imbalance. Jpn Circ J 2001;65:1087–90. https://doi.org/10.1253/jcj.65.1087; PMID: 11768004. Haapalahti P, Viitasalo M, Perhonen M, et al. Ventricular repolarization and heart rate responses during cardiovascular autonomic function testing in LQT1 subtype of long QT syndrome. Pacing Clin Electrophysiol 2006;29:1122–9. https://doi.org/10.1111/j.1540-8159.2006.00506.x; PMID: 17038145. Schwartz PJ, Priori SG, Spazzolini C, et al. Genotype-phenotype correlation in the long-QT syndrome: gene-specific triggers for life-threatening arrhythmias. Circulation 2001;103:89–95. https://doi.org/10.1161/01.CIR.103.1.89; PMID: 11136691. Liu GX, Choi BR, Ziv O, et al. Differential conditions for early after-depolarizations and triggered activity in cardiomyocytes derived from transgenic LQT1 and LQT2 rabbits. J Physiol 2012;590:1171–80. https://doi.org/10.1113/jphysiol.2011.218164; PMID: 22183728. Xie Y, Grandi E, Puglisi JL, ey al. Beta-adrenergic stimulation activates early afterdepolarizations transiently via kinetic mismatch of PKA targets. J Mol Cell Cardiol 2013;58:153–61. https://doi.org/10.1016/j.yjmcc.2013.02.009; PMID: 23481579. Zeidan-Shwiri T, Aronson D, Atalla K, et al. Circadian pattern of life-threatening ventricular arrhythmia in patients with sleep-disordered breathing and implantable cardioverter-defibrillators. Heart Rhythm 2011;8:657–62. https://doi.org/10.1016/j.hrthm.2010.12.030; PMID: 21185402. Schwartz PJ, Vanoli E, Crotti L, et al. Neural control of heart rate is an arrhythmia risk modifier in long QT syndrome. J Am Coll Cardiol 2008;51:920–9. https://doi.org/10.1016/j.jacc.2007.09.069; PMID: 18308161. Nemec J, Buncova M, Bulkova V, et al. Heart rate dependence of the QT interval duration: differences among congenital long QT syndrome subtypes. J Cardiovasc Electrophysiol 2004;15:550–6. https://doi.org/10.1046/j.1540-8167.2004.03096.x; PMID: 15149424. Rocchetti M, Sala L, Dreizehnter L, et al. Elucidating arrhythmogenic mechanisms of long-QT syndrome CALM1-F142L mutation in patient-specific induced pluripotent stem cell-derived cardiomyocytes. Cardiovasc Res 2017;113:531–41. https://doi.org/10.1093/cvr/cvx006; PMID: 28158429.